Please select a size. 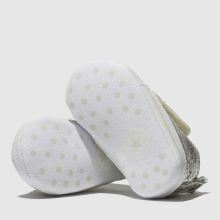 UK 1.0 - In StockUK 2.0 - In StockUK 3.0 - In StockUK 4.0 - In Stock Please select a size. 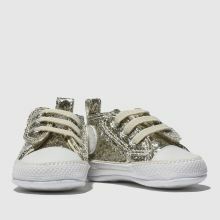 Get their style sorted early on with this statement kids' Converse Chuck Taylor All Star sneaker. 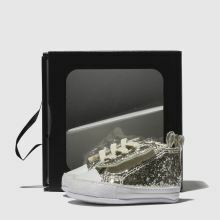 The 1st Star Easy Slip Glitter Crib shoe boasts a gold glitter encrusted man-made upper while elastic lacing and a touch fastening strap offer easy wear.